This cool cube shaped balloon will really stand out in a festive balloon bouquet. The unique new shape has durable seams that help it stay inflated for weeks. 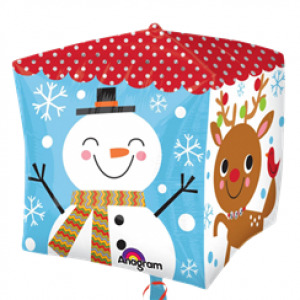 Each of the 4 sides features a cute Christmassy character such as Santa and Rudolph.